2010。Mei-Hsiu Hwang, David L. Garshelis, Yu-Hui Wu, and Ying Wang. Home ranges of Asiatic black bears in the central of Taiwan:Gaugin whether a reserve is big enough. Ursus. 21(1)81-96. 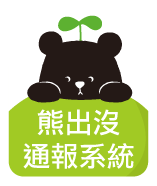 2009。Tsai, C. L., Y. C. Chou, C. C. Shih, H. C. Cheng, C. C. Yang and H. W. Kao。 The complete mitochondrial genome of the Formosan black bear (Ursus thibetanus formosanus)。Zootaxa 1971:50-58。(SCI). Ten novel tetranucleotide microsatellite DNA markers from Asiatic black bear, Ursus thibetanus.